The ATO will be upping its superannuation guarantee (SG) casework by one-third, and is poised for increased audits and penalty notices of up to 200 per cent for non-compliers. About 95 per cent of SG payments are being made without regulatory intervention, but deputy commissioner James O’Halloran told Accountants Daily there is sufficient evidence to justify a significant increase in compliance activity. The ATO will be increasing its “proactive” SG casework by about one-third this financial year, Mr O’Halloran said. 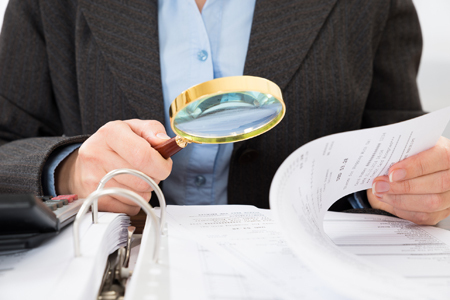 This will involve reviews and audits, and employers who are found to have breached their obligations will be subject to penalties. “Certainly, by the time it gets to an audit, we would be looking at the application of some form of penalty. In terms of debt collection… we often issue a garnishee notice or a director penalty notice,” he said. The tax office will also be focusing on getting better and more timely data to assist its compliance activities. “We are also working toward receiving better and timelier data on super guarantee obligations and payments and using predictive analytical techniques. These will enable us to be more targeted and tailored in order to influence employer behaviour and payment of super guarantee,” said a report from the ATO, released this morning. Penalties can apply of up to 200 per cent per employee where an SG payment is not met. There is an interest component to this also. The tax office estimates that the net superannuation gap — which is the difference between the value of SG gaps required to be paid by law minus what is actually paid — is about $2.85 billion. The net gap has increased from 3.8 per cent in 2009/10 to 5.2 per cent in 2014/15 of the total amount that was owed to employees. Also, about 20,000 reports of unpaid superannuation are made to the ATO each year, with key non-compliance drivers including poor cash flow management by employers, poor record keeping, and insolvency. Education can also be a contributing factor, as can low levels of business experience. The ATO doesn’t have an exact breakdown of problem industries, but its fieldwork indicates that problem hot spots are with small businesses in accommodation, food services, construction and retail. The Turnbull government confirmed this morning it will be providing additional funding to the ATO for its compliance work. A statement from the Minister for Revenue and Financial Services, Kelly O'Dwyer, said the government will move to boost the ATO's recovery powers, which includes strengthening director penalty notices and use of security bonds for high-risk employers. The government will also give the tax office the ability to seek court-ordered penalties "in the most egregious cases" of non-payment, including employers who are repeatedly caught but fail to pay superannuation guarantee liabilities. The package reflects the key recommendations in the Final Report of the SG Cross-Agency Working Group released on 14 July 2017. The government did not accept the Working Group’s recommendations to soften penalties for non-compliant employers. “Employers who deliberately do not pay their workers’ superannuation entitlements are robbing their workers of their wages. This is illegal and won’t be tolerated,” said Ms O'Dwyer.